Pepsi...it's got a lot to give. 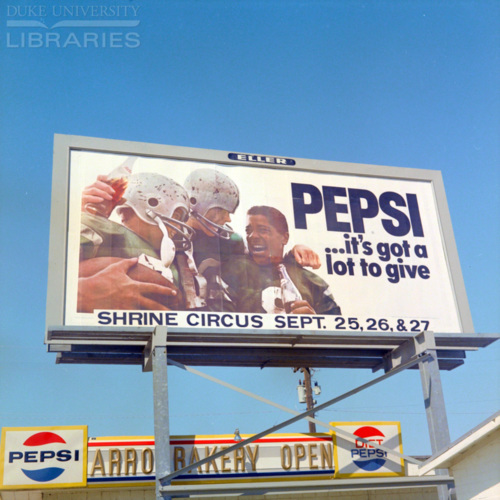 Three young men (two European American and one African American) in wearing football helmets and pads laughing drinking Pepsis. “Pepsi...it's got a lot to give.,” Race & Ethnicity in Advertising | America in the 20th Century, accessed April 24, 2019, https://raceandethnicity.org/items/show/843.